Gil and Luna, like many couples, love their dogs and want to include them in everything they do. Their wedding is no exception, but how to incorporate them tastefully? 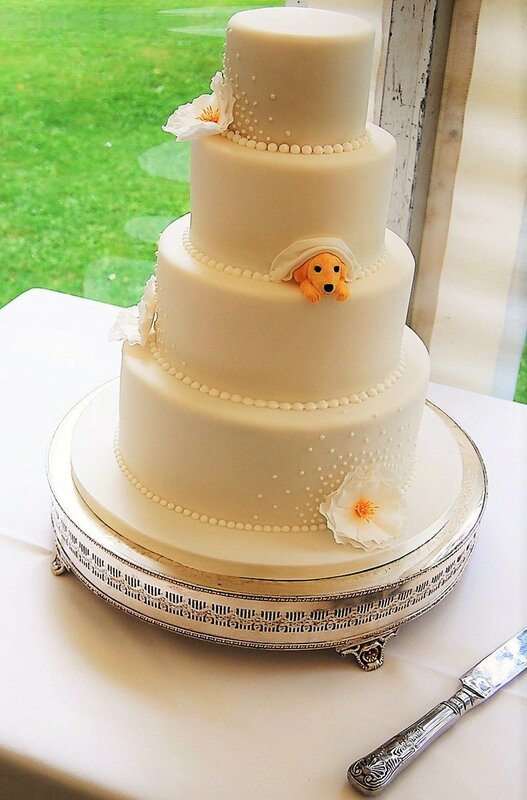 Making wedding puppy portraits is the easy solution, get them nicely groomed and snap away. But Gil and Luna went for something more imaginative than that. 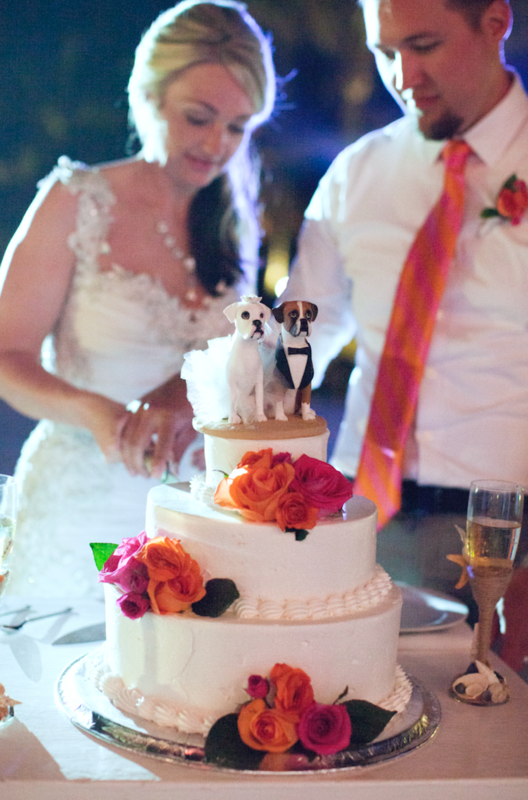 Einstein, a 3-year-old Pembroke Welsh Corgi, and Chimney, a 10-year-old Jack Russell and Pug mix, were forever immortalized as part of the topper for the coupleâ€™s gorgeous wedding cake, and they are just too cute!